The Mondrian Hotel in London has been rebranded as Sea Containers London, in light of its new incoming management team and in line with the name of its flagship restaurant. 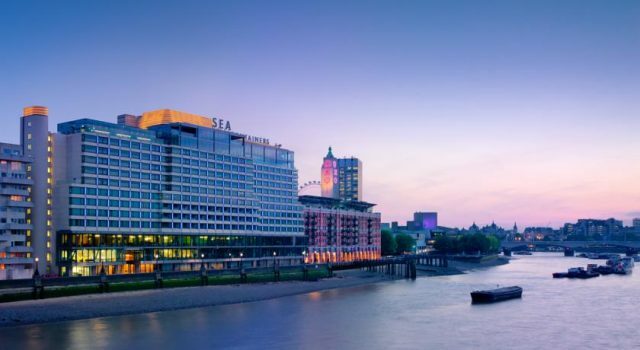 Mondrian London will now officially become Sea Containers London marking the hotel’s independent status under the management of Lore Group as part of its collection of independent hotels. Lore Group – an international hospitality company operating in Europe and the United States – will take over the management of the property from sbe. Set within the iconic Sea Containers building, originally designed by American architect Warren Platner, on London’s South Bank, the hotel boasts 359 guest rooms and suites, as well as a number of bars and restaurants, a spa and a cinema. Sea Containers London will continue to house riverside eatery, Sea Containers Restaurant, as well as the award-winning Dandelyan bar from Ryan Chetiyawardana (AKA Mr Lyan). Sea Containers London also offers a rooftop bar, 12th Knot (formally Rumpus Room), featuring an outdoor terrace providing unparalleled views of the River Thames. The hotel’s acclaimed spa, agua, and Curzon cinema will continue to operate within the hotel as normal. While the original Tom Dixon design of the hotel will largely remain the same following the transition, the hotel will receive a variety of interior updates that will build on the existing design, as well as a fresh graphic identity and branding. In addition to this, staff will model new uniforms, which nod to the “golden age of transatlantic travel mixed with the contemporary street style of the South Bank”.